A recent article featuring a variety of marketing experts explores the concept that fresh marketing graduates are unprepared for the industry, often having learnt outdated techniques during their time at university - an ideology Credico Australia vigorously disputes. The firm has a real sense of faith in fresh marketing graduates, something they are urging recruiters to reciprocate when hiring for entry-level vacancies. In response, Credico Australia is urging companies of all sizes to embrace the changing dynamic of the graduate market, inviting them to investigate how they can offer more freelance opportunities for fresh graduates to prove themselves. The firm has a real sense of faith in fresh marketing graduates, something they are urging recruiters to reciprocate when hiring for entry-level vacancies. Credico Australia understands that students are taught the basics of marketing, although they often have contrasting perspectives on what can work effectively against traditional aspects of marketing. The firm emphasises that, despite having an often-overlooked perspective, it doesn’t mean as young professionals they are wrong or any way unprepared for the reality of the industry. “Current marketing undergraduate degrees that focus on the digital sector will often be outdated before the individual graduates and enters the industry. Many universities should re-assess the criteria students are taught, shifting focus to the core concepts of marketing and practical elements, providing students with the incentive to learn developing techniques independently,” stated Yen Osten. Credico Australia is in dispute of aspects of the cited article that state an undergraduate degree is essential, yet the discipline is irrelevant. The firm has a strong belief that three years of studies in an unrelated subject for their later career should be actively discouraged. The outsourced sales and marketing experts believe experience is also invaluable when starting on the career ladder, and practical experience outside of education will contribute to success more heavily than a degree in an unrelated subject. 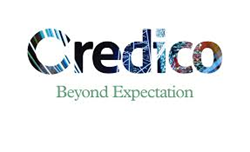 Credico Australia concludes that no taught technique is as useful as hands-on experience within the industry, which encourages an individual to negotiate contracts and deal with issues as they arise. The firm understands that graduates are often disputed in their knowledge; a commonality they hope is due to change in the near future.